The Greater Huntington Park & Recreation District announces registration is now open for the annual Snowball Softball Tournament! PHILADELPHIA – Marshall Coach John “Doc” Holliday, whose Thundering Herd is one of two remaining unbeaten teams in major college football, was named Wednesday as a semifinalist for the Maxwell Football Club Collegiate Coach of the Year Award. NEW HAVEN, Conn. – Marshall quarterback Rakeem Cato was named today as one of 15 semifinalists for the prestigious Walter Camp Player of the Year Award, which is presented annually to the nation’s best collegiate football player. HOMESTEAD, Fla.—The fastest driver doesn't always win a race—or a championship—but on Sunday at Homestead-Miami Speedway, Kevin Harvick did both. HUNTINGTON, W.Va. -- The Marshall football team moved up three spots to 18th in both the Amway USA Today Coaches Poll (427 points) and the Associated Press Top 25 (383 points) Sunday afternoon. Cabell Midland nipped Parkersburg High School 45-42 in a nail biter. HOMESTEAD, Fla.—Charging away from a pack of pursuers on the final restart, Matt Kenseth scored his first NASCAR Nationwide Series win since October of last year in Saturday’s Ford EcoBoost 300 at Homestead-Miami Speedway. HOMESTEAD, Fla.—The fastest car in the NASCAR Sprint Cup Series this season asserted its superiority immediately in Saturday’s first practice at Homestead-Miami Speedway. AVONDALE, Ariz.– The right side of Ryan Newman’s Caterpillar Mining Chevrolet bore more than a few dents and scuffs, emblematic of its epic struggle on the track. AVONDALE, Ariz.— What do you do when you accomplish your goals a year early? That’s a question Chase Elliott will have to answer, now that the presumptive rookie of the year in the NASCAR Nationwide Series is also the series champion—and the youngest champion in NASCAR national series history. AVONDALE, Ariz.— With lights flickering around Phoenix International Raceway, polesitter Erik Jones won Friday night’s Lucas Oil 150 NASCAR Camping World Truck Series race when the second power failure of the evening halted the race after 126 of the a scheduled 150 laps. 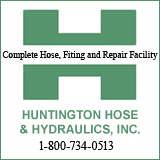 Huntington High defeated Winfield 44-7 in their Friday, Nov. 7 game. If Kevin Harvick had to hand-pick a track to race on in a “win or go home” situation, he would likely choose Phoenix International Raceway. HUNTINGTON, W.Va. – Rakeem Cato, Marshall’s senior quarterback who owns the NCAA major college football record for consecutive games with a touchdown pass, was named Monday as one of 20 semifinalists for the 2014 Maxwell Award. FORT WORTH, Texas—It happens every fall, at least in recent years. FORT WORTH, Tex.—With three races left in the NASCAR Sprint Cup Series season, Matt Kenseth made a statement during Friday’s time trials at Texas Motor Speedway. MARTINSVILLE, Va.— On a day that saw two of the Chase for the NASCAR Sprint Cup favorites suffer potentially catastrophic problems, Dale Earnhardt Jr. stole a victory from the title contenders on Sunday, passing Tony Stewart for the lead with less than four laps left in the Goody’s Headache Relief Shot 500 at Martinsville Speedway and pulling away for his fourth victory of the season. MARTINSVILLE, Va.— Driving a No. 34 Kyle Busch Motorsports Toyota painted and numbered as a tribute to NASCAR Hall of Fame nominee Wendell Scott—and with Scott’s family in attendance at Martinsville Speedway—polesitter Darrell Wallace Jr. held off Timothy Peters to win Saturday’s Kroger 200 NASCAR Camping World Truck Series race. HOUSTON -- American Heart Association and The Paul Bear Bryant Awards’ Title Sponsor Marathon Oil Corporation today announced the watch list for the coveted Coach of the Year Award, and Marshall coach Doc Holliday was among the 20 named. Holliday and East Carolina coach Ruffin McNeill were the only two Group of Five coaches to make the list. Herd Men's Soccer to Host FIU Saturday at 11 a.m. Goodwill Industries of the KYOWVA Area, Inc. is looking for "zombies" to participate in its Running Dead 5K at 6:30 p.m. Oct. 31 at Ritter Park. CHARLOTTE, N.C.—If his racing career boiled down to a choice between success and popularity, Brad Keselowski would choose success every time. On a night that saw senior quarterback Rakeem Cato (Miami) break national and school records, the Marshall Thundering Herd took care of business again on the road, defeating the FIU Panthers 45-13 at Alfonso Field in Miami. Images from September's HHS and St Joe soccer battling to a 2-2 tie at the Veterans Memorial Soccer Complex.